An inland body of water with no natural outlet, the lake has stagnated and high temperatures have added to its decline. The lake was once home to thriving resorts during the 1950s. 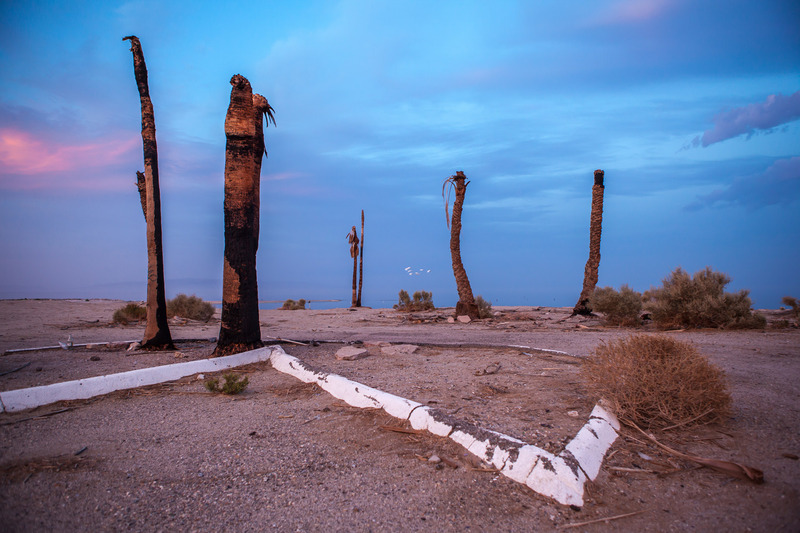 A deserted parking lot is all that remains of the former Salton City Yacht Club after increased salinity and pollution drove away tourism.